Karl-Heinz Ladeur is a Professor Emeritus at the University of Hamburg. 1. Are „Eurocrats“ to blame for the bad shape of Europe? First of all, one has to ask whether „Eurocrat“ is a meaningful term at all. Obviously one can find lots of examples in the European law and politics that demonstrate a kind of hubris and at the same time a complete failure to accomplish the goals of the „European Project“ – one needs to mention only the grand „Lisbon“ prospect of technological modernisation. In retrospect this sounds like the rhetoric of the late Soviet system that even at its later stage could not imagine failure and regarded „programmes“ as the blue print of an ever improving future reality. Reference to the Soviet system does obviously not include the oppressive aspects of communism but rather the tenacity of „Seeing like a State“ (J. S. Scott) – as opposed to indulging in the observation of the fragmented realities of different societies with their own multiple histories that are full of specific hidden intricacies of implicit social norms, patterns of behaviour, forms of life, memories, which are characteristic for the „instituted society“ as opposed to the „constituted society“ of explicit (legal) norms , as the French philosopher Vincent Descombes (2013) has it. The idea of progress leads to a superimposition of the forward looking „horizon of expectation“ („Erwartungshorizont“) on the backward looking „space of experience“ (Reinhard Koselleck). Many of the conflicts over the European „constitutionalism“ can be explained with a view to the dominance of the „Erwartungshorizont“ of a new political constitution and the establishment of a new „constituted society“: the „Erwartungshorizont“ can be broadened, one can give up the „Erfahrungsraum“ of the nation state and as a consequence the nation-based society. „Yes, we can …“ change from a narrow-minded to a broad-minded view of the future. However, the nation state cannot be reduced to a nationalist ideology and state-based constitution that can be given up or just fade away. Pierre Manent (2008) has opposed „la raison des nations“ – the illusionary assumption that we just have to expand the territorial base of the democratic state in order to regain its historical role as rule giving rational power. One might call this the „acquis étatique“ that, according to observers like Jürgen Habermas, can be and should be reestablished in conditions of globalisation which undercut the state’s authority because of the split between its territorial limitation and the unlimited economic networks of transactions. Obviously Habermas (and others) have a point, but it is only one point. „La raison des nations“ in the sense of Pierre Manent is not to be interpreted as a nationalist idea that is focused on the nation as an „imagined community“ (Benedict Anderson) – a concept that is based on the constructivist idea that societal imagination is mainly the product of an intersubjective construction. Instead, it refers to a deeper „social imaginary“ that consists in the mainly practical „repertory“ of „how things are done“ in a society (Charles Taylor 2004) – the „instituted society“, as one may put it according to V. Decombes. In the market related field of law coordination is to a certain respect mainly managed by economic actors themselves spontaneously or via the mediation brought about by the lex mercatoria or other self-organised private institutions. However, this looks completely different in fields where coordination has to absorb and mitigate much more conflicts such as in industrial relations, administrative action, budgetary discipline, welfare practices etc. In these domains law plays to a large extent a secondary rule as compared to societal norms and patterns of action. That things do not develop smoothly at all is undeniable, but in my view it is not primarily the „Eurocrats“ who are to blame. The situation is much more complex. In a sense Christoph Möllers (2015) is right in his approach to reverse the picture and to shift the blame to the Member States in as much as they (in again different ways) produce problems in their own territories whose destructive consequences then are shifted to „Brussels“ (or in some countries to „Berlin“). One needs only to name the reticence to „reform“ in France or Italy – not to mention Greece. However, Möllers does not go far enough in his analysis: the problem remains still a European one! And this is due to the perverse effects of the process-like Europeanisation! Once the pandora box has been opened there are no longer any stop rules for the political blaming game: in the past, only war allowed for a strategy of blaming one’s neighbour for your state’s economic problems. There was no way to ask another state to solve one’s budgetary problems in times of peace. In Europe this is possible, even if the rules do not (yet) justify such claims. The expectation of an „ever closer union“ of course paves the way for political strategies that shift problems to other countries: „our problems are your problems“! This is the reason why even formal valid rules (e. g. about budgetary discipline) do not count much. This is why it would be naive to try to shift the blame back to Member States. The most important effect of EMU has been in my view the transformation of political causalities: Within EMU there is no longer any fixed stop rule for the attribution of responsibility to act and to bear negative consequences. This is the new game that cannot be evaded with arguments! And this is at the same time why it would be a complete illusion to think that we just need new competences for the „Eurocrats“ or more democracy at the European level in order to allow for the implementation of the EU budgetary rules. How can the Eurocrats enforce a sanction (let’s say a fine of several billions of Euro) against a bigger Member State such as France with the prospect that „Front National“ will make a big leap forward in opinion polls? Or against Italy, if the „Five Stars“ movement can be expected to take over power? Or could one even go so far as to fantasy about a reform strategy „from above“? „Brussels“ („Berlin“) dictates a reform strategy for France or Italy? We wish you well…! The present stalemate – low interest rates for all Member States, but (almost) no further debts allowed – is symptomatic for the contradictions of Europeanisation. „More money“ would be helpful for Italy for the moment – negative consequences will be handled later. There are even some otherwise reasonable economists who think about a „Europeanisation“ of unemployment insurance in order to mitigate broadening disparity in Europe. This would (not only) be perfect in Germany for the „Alternative für Deutschland“, for Wilders in the Netherlands, the „True Finns“ in Finland etc. And it would shed a light on different „attitudes“ towards the informal rules that are a precondition for a functioning social state. This is, by the way, also one of the reasons for the xenophobic climate in Denmark: the Danes are highly conscious about the moral conditions of their version of a welfare state, which would come under pressure, if more and more immigrants took a loose attitude to the (formal and informal) rules. In some respect also the incalculable consequences of the ECB’s policy that in some way establishes a regime of emergency is a consequence of the impossibility to impose the rules of budgetary discipline and the unwillingness to reform. This is the reason why, to my mind, „accountability“ as such is not as pressing an issue as Mark Bovens & Deirdre Curtin have it (Eurocrats…190 et seq.). The majority of the articles in this book rightly come to the conclusion that there is a much deeper structural mistake in the construction of Europe that cannot be reduced to the question of the „accountability“ of actors. In this respect, F. W. Scharpf’s critique of the European Monetary Union perhaps does not go far enough: not only would Member States otherwise have the possibility to devaluate their currency, they would also be forced to reform their economy beyond monetary policy. This would obviously be painful. However, the Europeanisation of politics in general leads to new perverse political causalities. Europe allows for the construction of new overlapping „imagined communities“: we act as sovereign states with a look to the future, but we are not responsible for the consequences of our actions in the past. Our problems can be, but are not solved in „Brussels“! And this is also a reason for critique of the „Eurocrats“. A democratisation of the European decision making process would probably even lead to a political stalemate in the European Parliament or even a Weimar situation of unmanageable political fragmentation. The European Parliament probably only works because it is not democratic in the traditional sense. Brexit has once again shed a light on the one and only problem of the EU (that has different aspects, of course): the heterogeneity of its Member States. One of the illusions of „Eurocrats” – in this case the term is legitimate – and of the specialists of European law is the assumption that European law is the same in all countries: equal law leads to equal conditions of life, at least in the long run. The possibility that equal law imposed under unequal conditions of life can even deepen differences is discarded. Countries like Germany and other „northerners“ have reacted to the „uniform internal market“ by modernising their formal and informal institutional rules (e.g. of industrial relations). Countries like France and Greece have reacted to pressure by expanding their civil service – financed by public debt. This has deepened the heterogeneity between Member States, as we can now observe. This would be an example for the different „repertories“ of political and economic action in Member States. However, even in the domain of European law in the stricter sense heterogeneity prevails. The uniformity of European law that is cultivated in countries like Germany with an almost perverse interest for the details, is in many fields nothing but a myth. In some cases this is due to more or less open breach of law. Rule orientation is very different in Member States. In Italy we had very serious infringements of European environmental law (e. g. emissions of a steel plant in southern Italy by far exceeded safety standards over decades, one can assume that this was so grave that many persons were killed by the emissions) or in waste management law in a most spectacular way in Naples – due to influence of the Camorra. The Commission has reacted to these phenomena only in a reluctant manner: for the waste scandal in Naples it very belatedly imposed a – compared to the „savings“ – very low fine. What would people think about a higher fine: so, the Italian government does not fulfill its obvious obligations and risks our health – and as a consequence, we, the citizens have to pay for it with our tax money! In the southern Italian case of the steel plant, the polluter was the biggest regional tax payer and employer. Who would have been blamed, if the Commission had asked the government to close it down? These cases demonstrate how difficult the position of the Commission can be in many cases, in which it is obvious that it did not cause the problem. And why bother about the subtleties of European procurement law, if if one cannot expect to have a court decision within a reasonable amount of time in Italy? Or if the state is a bad debtor that pays its bill very late? This excludes smaller and medium sized firms from competition for public announcements of construction works, for example, if they have difficulties in getting bridging loans. Again, it is not the “Eurocrats” who are to blame. However, the Commission remains a part of the problem: it has a perverse interest in hiding breach of law, if the case can be politicised by regional actors. It has no interest in giving a realistic picture of implementation problems, because this might contribute to diffidence in other states. As far as the causes of Brexit are concerned, in my view, we are confronted with a case in which the effects of equal European norms, here: free movement of workers, have again turned out be extremely unequal because of factual divergence in Member States. This sheds a new light on the problems of the „ever closer union“. In this case the Commission tried not to call into question a myth and not to have a closer look at completely different realities. This is an ideal breeding ground for populist movements. The central issue of Brexit was immigration. And as a consequence the majority of the workers – and not just jobless people – voted in favour of exit. Within the last 50 years, the UK has experienced two big waves of immigration, first from the Commonwealth, later from (mainly) eastern European countries. Unlike other Member states, the UK has attracted many qualified workers (including Indians), whereas in Germany there exists a hidden consensus among trade unions, welfare organisations and political parties to accept – apart from highly qualified workforce, which is difficult to attract – primarily low qualified immigrants. They create employment in the assistance industry and do not compete with more qualified workers. The British problem with immigration is also due to a problematic development in school education: a major part of pupils „at risk“ nowadays comes from the „white“ underclass. They are less qualified than children of immigrants e.g. from Africa or the Caribbean. For decades the British school system has been in decline. The influx of cheaper foreign workers has also led to less qualification of industry workers and low productivity. Low qualified workers have also quite often fought for the preservation of industry work places without a future. Again, it’s not the Eurocrats who are to blame for these problems, which cannot be explained in detail here, but the Commission contributes to it by tabooing the free movement of workers. Don’t we have to be more flexible? Don’t we need a kind of „diversity management“ once problems develop in such a diverse way? Can and should the “Eurocrats” just force citizens to accept immigration according to the rules? Is „free movement of workers“ a dogma that can only be called into question by „exit“? Some Member States might be willing to follow the British example in the future. Now the situation in the UK is difficult to handle – much more so than the Brexiteers could ever had imagined. Immigration is different in all Member States in spite of uniform laws. Shouldn’t we think about just adapting the law to different social constellations? 5. Exit from the Euro means „Adjusting to European Diversity“! Differences between Member States have increased within the last ten years. The answer to this problem cannot be „more of the same“ but to pay attention to these differences and to explain how they were brought about. Europe can neither be a super-state nor even a state at all. We should step back to more functional integration and give up the idea of Europe as a quasi-territorial state. Instead of the myth of the „ever closer union“ that has fueled the emergence of new anti-European movements all over the Member States – in very diverse forms, by the way – we should respect the „space of experience“ of people instead of the „horizon of expectation“ of European officials and would be officials and their worldless constructivism. The range and structure of integration should in fact be modelled with reference to „club goods“, as Giandomenico Majone has it (Eurocrats…, 218 rt seq. ; also Ladeur 1997; 2008). There are fields where we need more integration (research and technology, foreign and military policy) and others where only a lesser degree of integration is viable. This approach should also allow for learning processes in countries that want to stay outsiders. One could think about a regime of observation of a possible „conflict of norms“ (cf. Joerges, in: Eurocrats…, 299 et seq.) between overlapping memberships in order to avoid not cherry picking as such, but cherry picking that may be detrimental to the clubs. „Demoicratisation“ (Kalypso Nicolaidis & Max Watson, in: Eurocrats…, 50 et seq.) and the focus on „incentives for domesticc institutions to internalise the risk of boom and bust cycles“ is an approach that might at first sight look too fine-grained: I have doubts that this is possible within the European Monetary Union. The same may be true for the idea to introduce a procedure for the bankrupcy of states or their exclusion from the EMU. This will probably meet with strong opposition from the candidates. The same might be said for the idea of a dissolution of the EMU which is in my view a precondition for a more reasonable and a more democratic order in Europe. Probably such an idea could not even be ventured as a „Gedankenexperiment“ by the EU without risking devastating consequences on the financial markets. However, the social sciences, and economists in particular, should engage in such an endeavour: thinking about how to get rid of the Euro without risking a catatrophe. One should bear in mind that it is far from excluded that not thinking about such a possibility will avoid a disaster. Can Europe only learn from catastrophe? The subtitle of this book, „Adjusting to European Diversity“, could be the slogan of a new endeavour, not to destroy the EU, but to revitalise is. Christian Joerges (Eurocrats…, 299 et seq.) has given a very convincing overview of different paradigms of government and governance in the EU. One may criticise the early market orientation („Ordnungspolitik“) or the rise of diverse regulatory approaches as being too technocratic and not open to democratic deliberation. However, there was still room for deliberation at a metalevel about alternatives. Since the introduction of EMU the game has completely changed: the EU is just stuck in a stalemate, it cannot go on toward more integration (it would be a complete illusion that the treaties can be changed in this respect), and it cannot stay where it stands. The only possibility that might open a new perspective is, as a consequence, to step back. We have to think „outside of the box”! And this is what the authors of the „The End of the Eurocrat’s Dream” have done well. 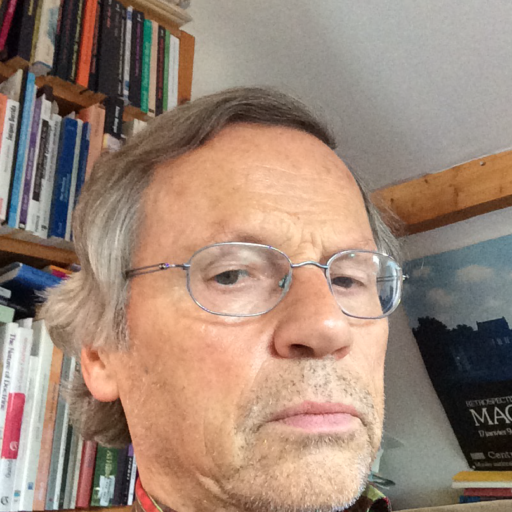 SUGGESTED CITATION Ladeur, Karl-Heinz: Putting Europe back on its feet – A timely wake-up call, VerfBlog, 2016/11/22, https://verfassungsblog.de/putting-europe-back-on-its-feet-a-timely-wake-up-call/, DOI: http://dx.doi.org/10.17176/20161123-132929.